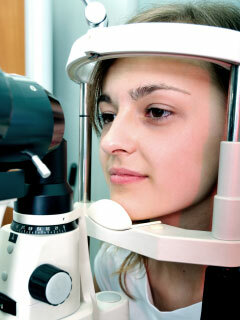 Preventive and routine eye exams are integral to maintaining good eye health. Yearly eye exams can ensure any problems (or potential problems) are addressed early, resulting in better treatment options and outcomes. Before and during your exam Dr. Hall and our staff will ask questions about any symptoms or issues you are experiencing, medications you take, any blurred vision, your work environment, and your overall health. Family history and previous eye & vision conditions will also be discussed. During this time, Dr. Hall and our staff will perform several tests including measuring your visual acuities, intraocular pressure, peripheral vision, and eye muscle capabilities. Dr. Hall will consider all this information before determining treatment or recommendations.